Want To Build A Website But Not Sure Where To Begin? We can help, it's what we do...AND it's completely FREE! Learn how to do it the "right" way. BONUS - Get found on GOOGLE! Have Your Website/Blog Up In Under 7 Minutes! This training and information is based on a previous course that many others were happy to pay $97 for. We are sharing the exact same information with you, and also constant updates, ideas, tips, strategies, and more...COMPLETELY FOR FREE! You'll have access to completely free step-by-step video instructions that will walk you through the setup process every step of the way. I'm not very smart, what if I get stuck and need help? Do I need to any programming skills? Not at all. You'll be setting up your website on a self-hosted wordpress platform (this is the best option and will give you the best results). It's extremely user friendly. (It's what we're using on this site...and NASA also uses this platform for their website too! (seriously)). I'm not sure if I really need my own website...Do I? It's up to you. I don't know you or what your goal is. I'd be happy to have a conversation with you on this topic. You can contact us by filling out the form above. Generally speaking, I don't see a reason NOT to have a website of your own. 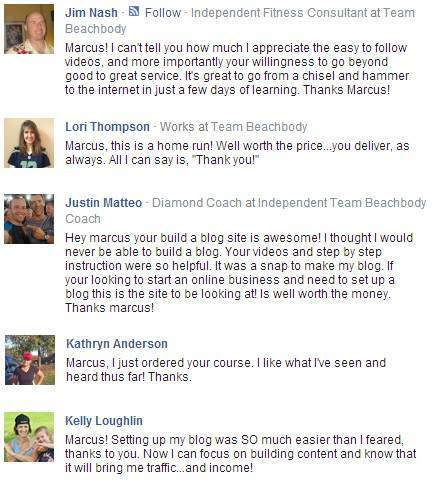 It's a great tool that will give you more exposure and credibility. Why is this FREE...What's the catch? Our training and assistance is FREE. You will have to pay for your 3rd party tools. You will need to acquire a hosting account and a domain name. You pay them directly, not us. And don't worry, it's super affordable and well worth the cost. We will walk you through the entire hosting setup process and platform installation. Whooa!...Slow down there speed racer. Now you're just being crazy. Fill out the form above and let's get started!